The US government invested over $50 billion in global health over the last five years. Last year specifically, USAID laid out its first ever Vision for Health Systems Strengthening, defining health systems strengthening (HSS) as a capacity building approach that supports quality service provision, extends the coverage of care, and provides financial protections, all while improving the responsiveness and resilience of local health institutions. The Vision’s purpose is to renew its commitment to HSS and provide a strategic framework for implementation, but HSS can be a huge undertaking for local governments and health institutions. We know that HSS investments matter, but in what contexts does HSS programming work best in improving family planning outcomes? 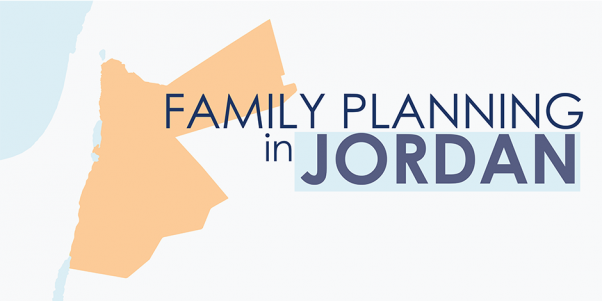 We can learn a lot from USAID’s family planning investments in Jordan. Jordan’s national family planning goal is to reach a replacement level of fertility of 2.1 by 2030 in order to ease the pressures of massive population growth, refugee influxes, and scarce natural resources. For over a decade, the total fertility rate (TFR) in Jordan has stagnated. Contraceptive prevalence is high, but less-effective, traditional methods have been on the rise, comprising one third of the method mix in 2012. 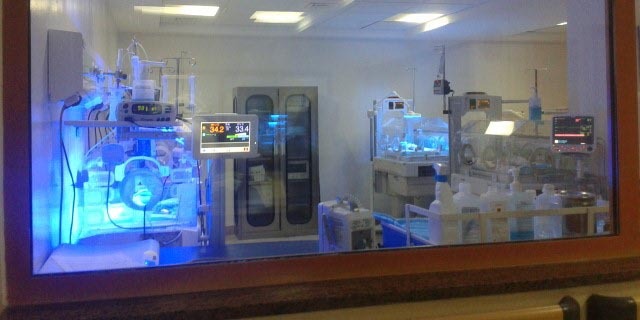 USAID has invested close to $445 million in Jordan’s health sector, with approximately 75% targeting HSS in maternal and child health and reproductive health. As part of an assessment of USAID’s family planning program in Jordan over the last decade, we systematically reviewed existing program documentation and conducted interviews with key stakeholders. These documents guided a set of recommendations provided to the USAID/Jordan mission for future family planning investments. Yet despite these successful outputs, Jordan’s total fertility rate and modern contraceptive prevalence rate (mCPRT) lagged during the same time period. Why weren’t HSS inputs more effective for family planning outcomes? There are two explanations for the weaker HSS effect on fertility stagnation in Jordan. First, focusing on HSS programming increased the number of outlets for services, but could not address socio-normative barriers to family planning. 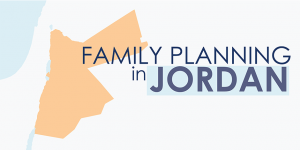 As discussed in the second post of this series, indirect determinants of fertility—such as social norms around family size and son preference—play a powerful role in family planning decision-making in Jordan. These cannot be tackled alone with an HSS approach. 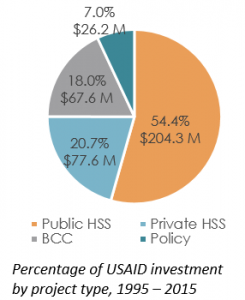 Second, heavy HSS investment may have inadvertently decreased Jordan’s political and economic ownership over its reproductive health programs. Evidence suggests three types of government commitment (expressed, institutional, and financial) are needed to enable a supportive environment for family planning programs. Field interviews repeatedly confirmed the existence of “verbal” commitment by senior government and central ministry of health staff for family planning programs, but limited institutional and financial commitment. This is consistent with desk review findings, which highlighted the lack of government funding as the key limiting factor in family planning program sustainability. This suggests that a lot more needs to be done to ensure that HSS programs achieve programmatic sustainability. Examining more than a decade of programmatic implementation stakeholders in Jordan provides an opportunity to suggest future programming priorities for similar contexts. In countries with relatively high access to, and use of, family planning services, an exclusively HSS approach may not be the best investment to affect TFR and CPR stagnation. More comprehensive programmatic activities that address community and familial fertility norms, increase options available to couples, and support providers will evolve the landscape of reproductive health service delivery, and enable countries like Jordan to meet their fertility goals.